Meets every Monday and Thursday afternoon. Every Friday evenings from 8:45 pm. Petanque competitions open to all (end June to 15th September). This club contains 60 registered players, who compete in championships and local rounds. Demonstration of skittles on demand furing summer. The club enters individual and team championships of the Federation. Created in 1996, there is now an over 40 members club. In 2000, the club took a more competitive turn by entering the Aveyron Classic and became affiliated to UFOLEP in 2004. Football club for seniors. District competition. Climbing, Via Ferrata, Canyoning, Climbing wall, alpine skiing, snow shoe walking, ice climbing. Climbing evenings in the gym Friday evening from 8:00 pm (Adults – all levels). From 17 years old. 3rd division championship matches. Organisation of pleasure rides for on and off road bikes (all sizes). Assistance and route planning advice. Supporting different local organisations. Facilitating exchanges between motorcycle clubs. Organisation of cookery workshops for adults and children all year round at the Cultural Centre in Ste Geneviève. A club for all those who enjoy bridge or would like to learn it. Patchworks, decorations, embroidery, hand work, dressmaking. creative crafts, mending. Christmas market for the benefit of children. Every Thursday afternoon at 2:00 pm (outside school holidays). Hunters from the communes of Vitrac, Alpuech, Lacalm and la Terrisse meet every Saturday from September to February at the Lacalm hunting hall. Organisation of meals. Releases for trout in the artifical lakes around Ste Geneviève. This club consists of about 30 hunters who meet up on Wednesdays and at weekends. . This association was founded in 1955 and currently consists of 60 members. Meet at the hunting hall. A team of friends who give full rein to their passion every weekend. Literary meeting on the first Tuesday of the month. Awarding a prize the « Dimarç » to a French novel of the year. Meeting about Occitan one Monday each month in the evening. Songs, texts and discussions in patois to learn and exchange views about our language and our culture. First steps in music for children from the top class of nursery school. From 7 years, classes in drums, accordions (diatonic and chromatic), saxophone, flute, piano, guitar, cabrette (bagpipe), trumpet, horn. Training and musical cultre. Choral singing. Group practice. Enrolment from June onwards, course start in mid-September. A group composed of about 40 dancers accompanied by their musicians. Training in local and traditional dances from the age of 4. Children’s groups, young people and adults. Classes every fortnight, saturdays from 8:30 pm to 11:30 pm. Involvement in Fete committees, clubs and other festivities. 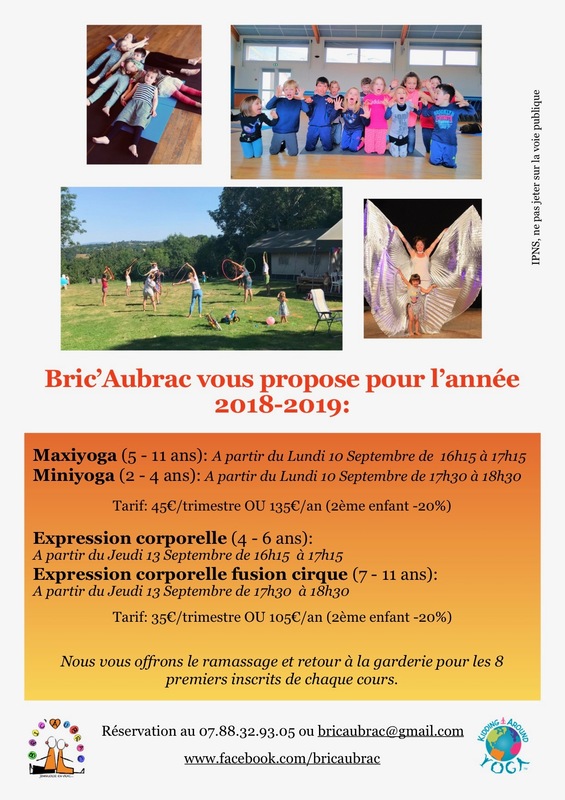 The North Aveyron amateur dramatics company. The club was formed in 1989 with the aim of reviving folklore and making the villages more lively. They perform at village fetes, in family homes, in retirement homes, etc. Every Monday evening from 8:30 pm to 11:30 pm, these amateur musicians offer you a Traditional Musical Evening in the Cantoin village hall. They welcome, in a convivial atmosphere, all dancers, whether experienced or beginners, offering them an introduction to traditional dances. – Home help for older persons, handicapped and for families. – Family service: with a socio-educational accompaniment and help with children …. Open Monday, tuesday, Friday from 8:45 am to 12:15 pm and 1:45 pm to 5:15 pm. Wednesday : from 9:30 to 12:30 pm. Fresh vegetables all year round. A group of consumers who agree a contract twice a year (spring and autumn) with a local organic market gardener. Once a week on late Tuesday afternoon at Cambon, the producer meets AMAP members for the distribution of vegetables. A basket consists of seasonal vegetables picked that day. A gesture of citizenship: the choice of healthy food and solidarity with the rural life, a fair local deal, the preservation of the environment, a social link which will educate you to taste and the environment. A completely new association in the town open to all. It was set up to create a social and cultural link particularly based on the blog « Argence Info » which is open to all those who wish to express an opinion. Association for those involved in the Algerian war, and in the hostilities in Morocco and Tunisia. Commemoration of the 19 March 1962. This association is aimed at stimulating and favouring local commerce, building up a loyal customer base and supporting commercial activity in Ste Genevieve. Association consisting of about thirty people for the development of leisure, sport, tourism and culture in Lacalm. Open tuesday, wednesday, friday ans saturday from 9:30 am à 12h30pm. Weekly meetings every Tuesday afternoon in the Irénée Issanchou hall. Sociable games, outings, trips, meeting days. Organising trips, meals and bingo throughout the year. Every Wednesday afternoon in the village hall in Cantoin (sociable games). Day trips…. Organisation of several events notably including Aubrac’s Strongest Man (Forces de l’Aubrac) and the Lacalm party. Organisation of a stuffed cabbage meal for North Aveyron. Organisation of the Concours Cantonal de la Race Aubrac.